We've just started trying to get our house how we would like it, it's a slow process so it always helps to find handy tools to help with the planning process. Our next project is our family bathroom. It really needs ripping out and starting again and I've been unhappy with it since we first moved in to the house. 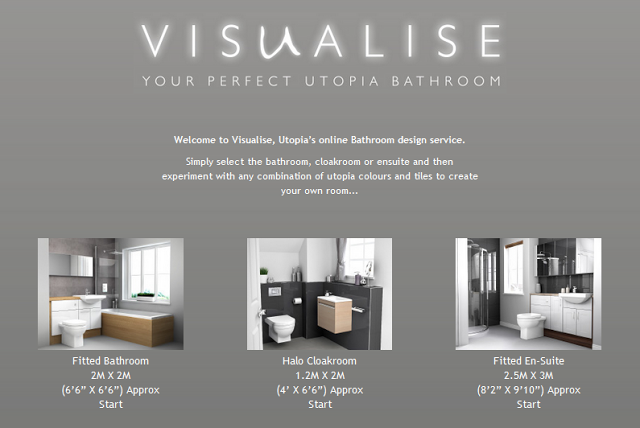 Visualise is the new bathroom planning tool from Utopia Bathrooms and I have been looking at it to see if it would help me to plan our new bathroom. 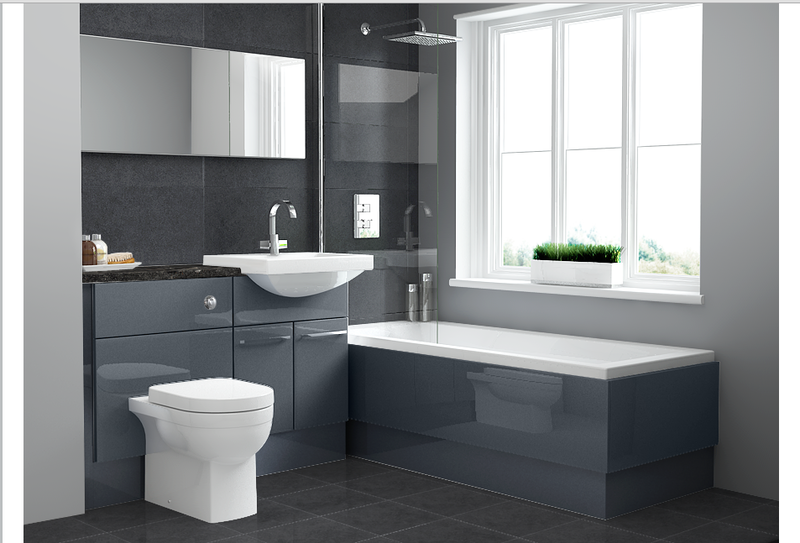 I decided to have a play with the design facility for the fitted bathroom as the measurements are nearest to our own. 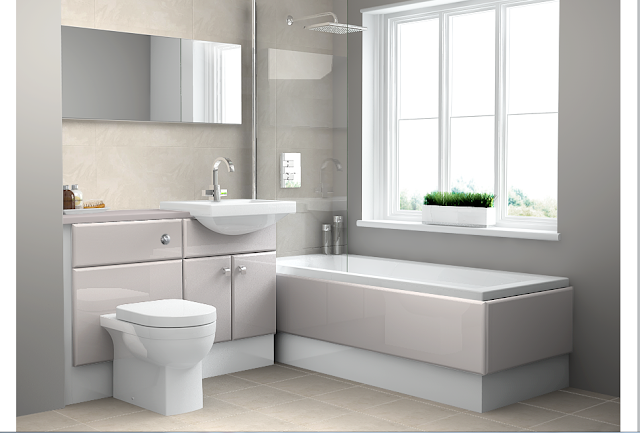 On making your selection you are met with a blank canvas, a plain white bathroom. To customise your bathroom you simply move across the menus at the top of the screen making your selection as you go. This then changes on the picture of the proposed bathroom. I love being able to experiment with different looks so enjoyed being able to play around with all the different colours and styles. I tend to like bright and airy rooms and feel this is essential in a bathroom so here's what I came up with first. I really love this bathroom so I'll definitely be printing out this design (the tool allows you to do this by clicking through at the bottom of the page). Of course, I couldn't resist looking at some bolder options. I'd never consider this for my own bathroom but I enjoyed coming up with a really dramatic design. 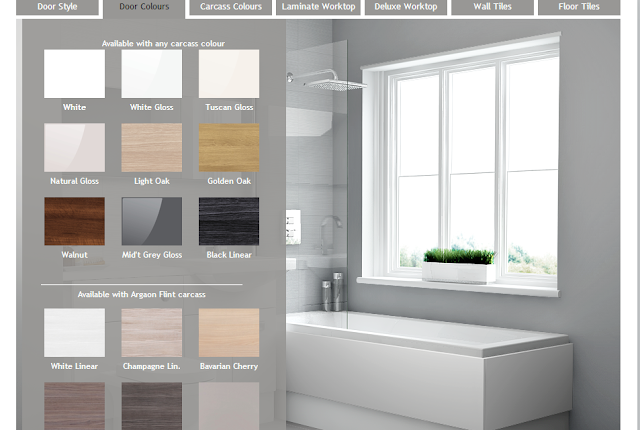 This is a really handy design tool if you are looking at changing your bathroom. I think there are certain functions I would like to see added, for example, I'd like to be able to save my design for future reference or email it to myself so I can keep an electronic record rather than a paper one. An other fantastic addition, I think, would be the ability to pin your design to Pinterest. This would be great if you are building a bathroom mood board on there.The selection of different finishes and colours allows for most people's tastes I would think, I will definitely use a tool like this for ideas when we finally get around to renovating our bathroom.